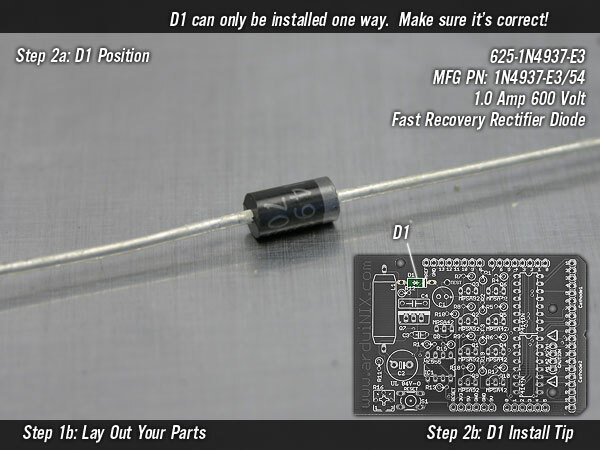 D1 is the Fast Recovery Rectifier Diode. Make sure it goes in correctly, it may only be installed one direction. The band on one end shows you which side is the positive side. The diode we supply may either be a 400 or 600 volt diode. Either will work.